Leadership, Team Building, Success: The Time to Be Great Is Now! Do you wish you knew how to develop the qualities of a great leader? Would you like to wake up each day feeling excited and motivated? Ready to be on a winning team? 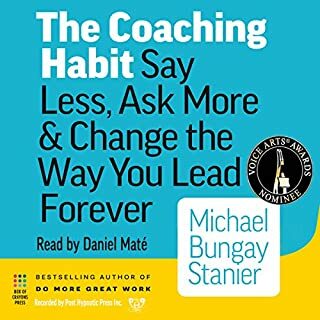 Whether you want to lead more effectively, light a fire under yourself that will not go out, or build your own dream team, then this is the audiobook for you. The Ultimate Leadership, Team Building & Success Trilogy! Three Books in One! How to Be a Great Leader, How to Build a Killer Team, & World's Best Success Strategies! How to build a team that works well together and wins! Leadership and team building go hand-in-hand. The result? Success. 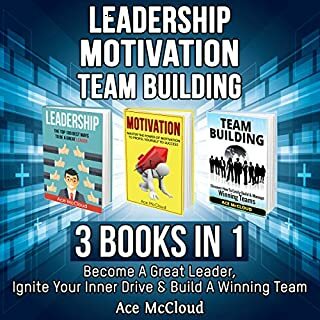 This 3 in 1 box set will give you everything you need to be a respected leader who can build a motivated, ambitious team to yield amazing results. Learn how to develop life skills for leadership, how to manage stress, set goals, build a team and much more. This really is a must have set for anyone in a leadership position. HIGHLY recommended. It's all about QUALITY LEADERSHIP! Quality leadership is something that needs to be actively maintained and nourished. I think too many people in leadership roles become complacent with their skills and it causes a steady decrease in their abilities. I found this audio set gave me some unique tips and a different perspective. I really enjoyed the leadership quotes and found the set to be motivational! I know this will help be to become more successful. I recommend giving it a listen no matter what type of profession you are in! Leadership And Team Building Just Got Better! For any leader or those who want to become leaders this is a good starting point for you. The top 100 strategies are easily applicable and straight forward so you don't even strain while reading. Some say leaders are born while others think they transform into leaders but Ace says there's a difference between leaders and managers. For you to become a great leader you have to be a planner, assess your situation,be honest at all times and be adaptable. This are just but a few strategies that will help greatly. I cant think of a better book to learn about leadership. Looking forward to be coming a great leader. In every organization there's a team that helps achieve goals. Henceforth, a great team would be every organizational dream. Being a team leader is about inspiring and motivating your team so that they can excel in their specific area. This book has great strategies for team leaders and their team that are easy to understand and apply. The strategies helps us grow into great leaders so this is exactly what you need to take your team into great heights. I would recommend this book to every team leader and those planning to be team leaders.Thanks Ace! Very helpful for business owners and managers! I got this audio looking for ways to improve my leadership and to help motivate my team to perform better. The narrator is excellent and easy to listen to and the information is superb! By the end of the audio I had over twenty ideas of things I could do to improve my business and my life. I decided to use the 80/20 principle mentioned in the success section and figured out the 5 most important things that I could implement that would make the most difference. The results have paid for this audio ten fold! My business is improving and I notice a definite increase in team morale! Highly recommended. I'm glad I have this 3-fer set; from listening to these three books, I'm even more convinced that my success rests in my ability to servant-lead my team to their success. I especially appreciated the description of the specific needs of team members in each stage of the team's life. From the Leadership book, I am motivated by the inspiring quotations and am starting to implement the 100 strategies...not all at once, but I have plenty to work on for years to come! I am finding this book set highly practical because it addresses my current needs in a down-to-earth fashion. If you are in a management or leadership role at work or even any type of club or other volunteer organization, give this book a try. It will help you get better performance out of other employees or members and be successful with it. This book series has a number of ways to improve leadership and team building skills and make you a successful manager or leader in your work or organization. 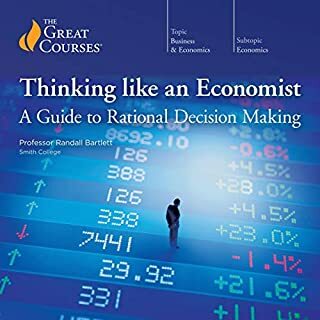 I need these types of books for business. There are many books out there with advice for people in business who need help with their leadership and team building skills but this has to be one of the best. A lot of it is communication and learning to understand others in any type of business situation. Once you open your mind to the possibilities, you'll be able to build efficient and effective teams and being a good leader of that team. You'll see a great measure of success once you know how to put together a great team with everyone working together toward a common goal. I highly recommend this book! The author mentions 'for more help on BLAH be sure to check out my book BLAH' about every five minutes. There must be 25-50 mentions of other titles the author has written in this title. I didn't buy this audiobook to get spammed every few minutes. This can really help a lead organizer! Would you listen to Leadership, Team Building, Success: The Time to Be Great Is Now! again? Why? Honestly, I would! Very interesting topics and simple tricks that shocked me once I realized how much time I wasting without using them. What was one of the most memorable moments of Leadership, Team Building, Success: The Time to Be Great Is Now!? None particularly. The entire book is clean, concise and intuitive. Enthusiasm and very exciting energy. 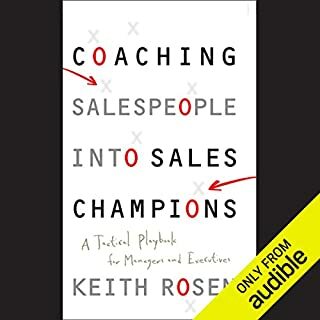 If you are the lead team manager or are in a management position at your workplace or business, I would highly recommend this book! It offers some really simple and unique ways people can improve in their working relationships with their team members. After reading this book I realized how much time I was wasting by using my old leadership formula and quickly reorganized my game plan. Things have been great ever since! Leadership is crucial for success, especially when leading a team. McCloud shows that anyone can learn the proper techniques needed to lead a team to success. 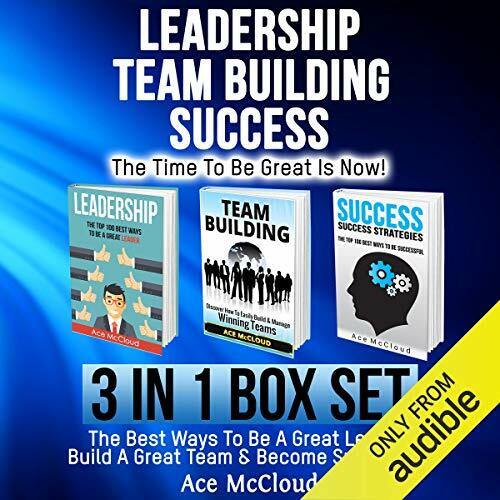 This box set includes strategies to becoming a confident leader, tips to make your team stand by you, and what planning is required for success. Plus, McCloud goes into depth about all three areas with relatable examples and strong habits that can help you reach success. My job often requires for me to take on the role of team leader and manage a small team. Sometimes I lack the confidence to assert myself and so I found the guides on leadership and team building extremely useful. It has a lot of easy steps that can be taken and advice that is very easy to put in to place to gain the respect of your colleagues without overstepping the mark. The guide on success is really interesting, although success is relative this guide is very informative and extensive. It talks about a range of aspects in life from exercise and diet, managing money and pursuing life goals and is full of inspiring quotes to motivate you to so what you need to do to find success in your life. Definitely worth listening to. Leadership is an excellent book for anyone who wishes to lead and nurture others, whether at work, in their family or in a social context. Primarily, it is a walk through the character traits needed to become a great leader and so much in there is pertinent to other aspects of life too. This book is for you, if you want to lead people rather than ‘manage’ them and want to be inspirational, effective and affirming. I loved the part that said - ask questions of yourself and other people, but ask about solutions rather than problems. Excellent! What a helpful, enduringly challenging book Team Building is! 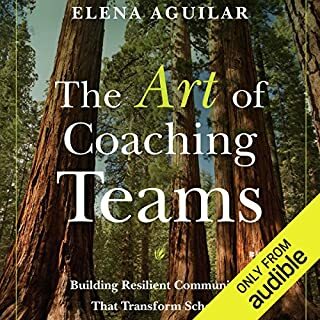 I manage a team of independent contractors within my small business and found this audio book to be a goldmine of inspirational and well conceived ideas for promoting strong and healthy teamwork. Ace McCloud looks closely at building a team in all stages of that team’s existence. Advice covers fostering positivity and a strong work ethic, productive rewards and incentives, and how to deal with team members who might be a little harder to get along with! The section on how to incentivise one person without discouraging another was particularly helpful. Success looks at the many and various ways to achieve success in every aspect of your life. It draws together the threads of life and looks in detail at ways to be successful, covering such disparate topics as diet, exercise, meditation, organisation, habits, leadership and self confidence to name but a few. It’s a marathon – not for a single sitting – and I made copious notes as there was so much to attend to. 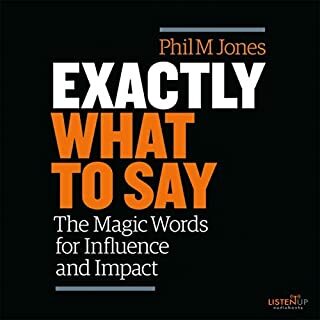 I really enjoy this narrator, who seems ideally suited for motivational content, with his enthusiastic, accurate readings. What a trio of books on leadership, team-building and success this is. Over the course of listening to these guides I have picked up so many tips that I can already see helping me at work and life in general. Some of the parts that stood out for me included learning how to become more aware of individuals differences and to define clear roles for people. I also really enjoyed the section on organization tips to improve your chances of success. A thoroughly enjoyable and helpful listen. Highly recommended. I learnt new things of this book. on occasions it was advertising for other books encouraging to buy. Overall OK.
All my life, I have been the kind of person who prefers to follow orders than to lead. I just found it a lot easier to wait and be given instructions on what to do rather than stressing myself out for handling a group of people. Just recently, I was given a task which is really new to me. It is to train a few of our newly hired employees at work. Obviously, being a follower in most circumstances did not help my situation. So when I got home, I went to search some useful tips online and that’s how I came across this book here on Audible. I was able to apply the tips I have learned from this book for our team building, and oh boy, my boss was really impressed with our new staff’s progress (thanks to me)! Don’t get me wrong but I was also shocked with the outcome! This book actually made me realise that I am actually an effective leader as much as I am as a follower. I think it is time to make a change! If you could sum up Leadership, Team Building, Success: The Time to Be Great Is Now! in three words, what would they be? McCloud highlights that crucial is building your team from most enthusiastic people. Build strong relationships because it helps to work more efficient. You can celebrate success also outside the workplace. It boosts your team. I can share his enthusiasm and find this advise very useful and positive. I like Joshua Mackey because his voice tone is enthusiastic; he has excellent manners, reading with right pace, clear pronunciation and energetic way. I like the best strategies how to be yourself, be positive and optimistic and learn to handle rejection. Rejection can be devastated for your motivation and “Success” helps you to manage with distress linked with rejection. Set 3 in 1 is a complete guide that contains very practical tips how to build your team, how to achieve success, how to write your mission statements, communicate with others using persuasion not manipulation.